Put it like this: there's currently a 232-day supply. We all know the C8 Corvette is on its way, despite some delays. Perhaps it’ll debut this summer. Or not. Chevrolet remains tight-lipped on the subject. 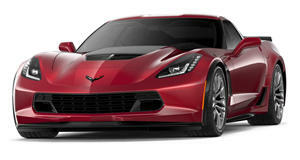 Meanwhile, the current C7 remains on sale and according to information dug up by Corvette Blogger, it’s not selling well. The sales data comes from eInventoryNow.com, a dealer-to-dealer network enabling dealerships to help manage new GM vehicle inventories across the country. The data for new C7s makes for troubling reading. 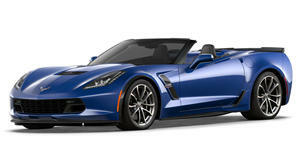 As of this month, there are 9,000 new Corvettes available for sale, which translates into a 232-day supply. Last December, there were 8,000 Corvettes available. What does this mean? The Bowling Green, Kentucky production plant is building more Corvettes than Chevy dealerships can sell. Dealers are continuing to place orders for new C7s in or to keep their allocation levels up, which is vital for when it comes time to place orders for the C8. Like most automakers, GM typically allocates hot new models to the dealerships that can sell them fastest thanks to a wide variety of models. The clear downside to keeping large inventories is the greater likelihood some vehicles will wind up sitting on lots unsold. Another reason why Chevy dealerships can’t sell all of the Corvettes in stock is that Corvette buyers typically spec their models from the factory. 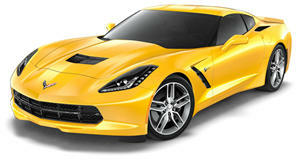 However, there haven’t been too many Corvette buyers. 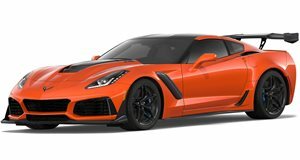 Only 800 new C7s were sold last month, despite the Stingray being a fabulous car to drive, and Chevy has yet to offer any sales or incentives to try to increase that figure. This is actually a bit surprising given that the C8 is likely coming soon and dealers are no doubt going to be anxious to rid themselves of C7s. Chances are, Chevy will offer a C7 Final Edition of sorts for the US market, similar to the Final Edition revealed late last month for Europe. In the meantime, dealerships will likely continue stocking C7s in an effort to better position themselves for future C8 allocation. It’s a continuous cycle with no immediate solution.